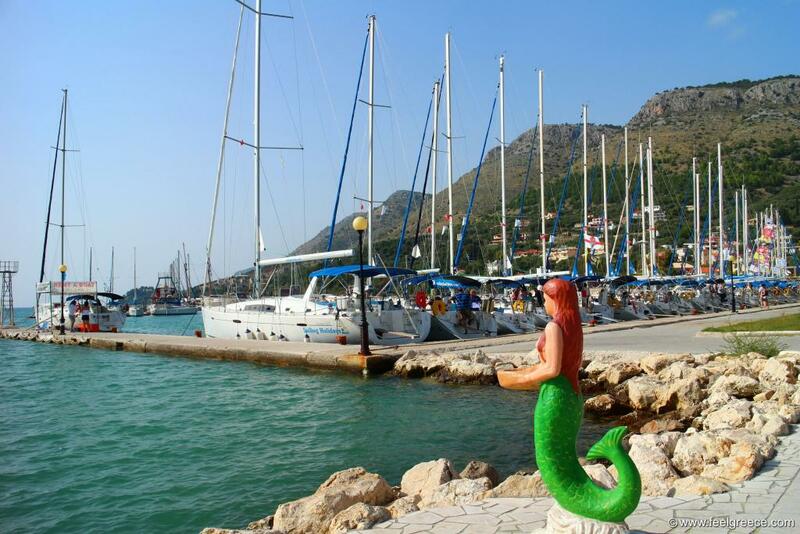 The mermaid of Plataria welcomes the boats. 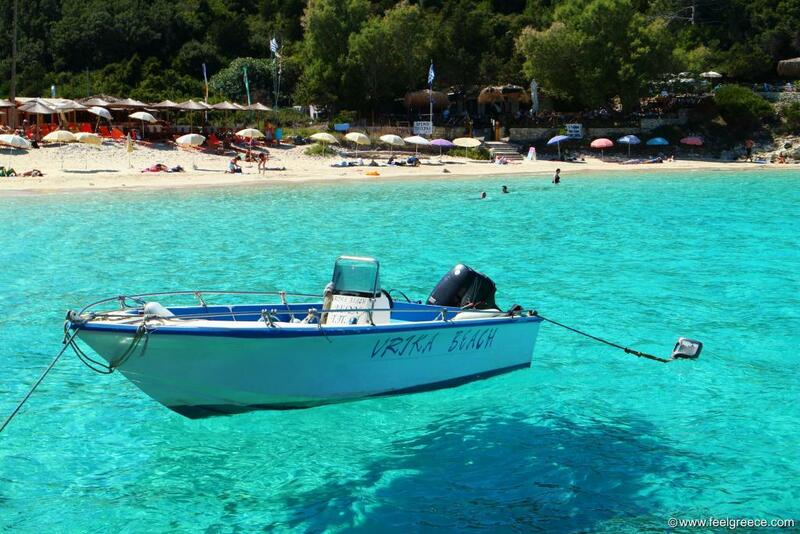 A boat hanging in the air at Vrika beach, Antipaxos. 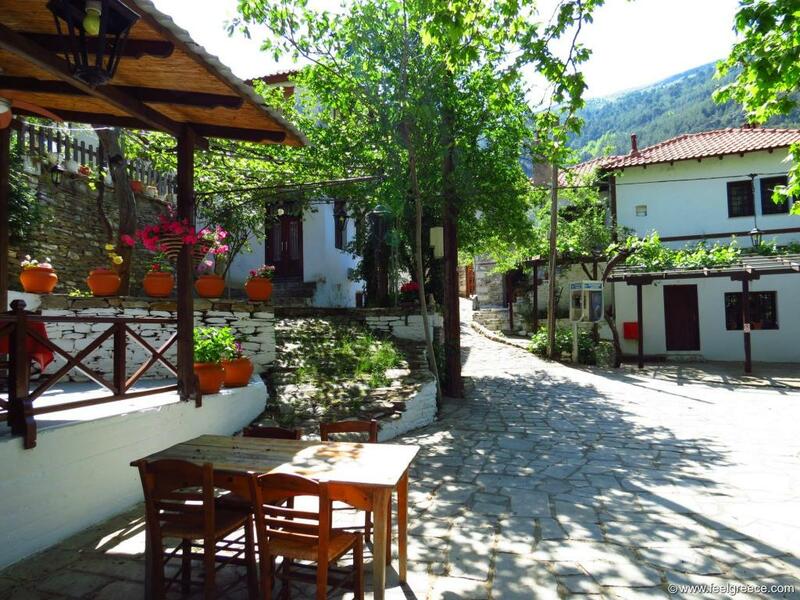 The small square of Megalos Prinos village, Thassos Island. Manassu beach bar at Oneirou beach, Sithonia. 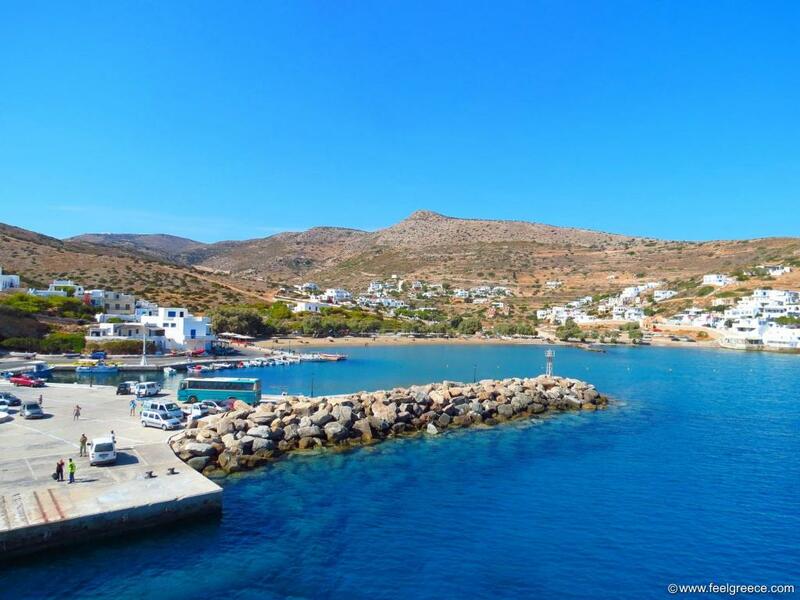 It is so famous among young people that it is extremely difficult to get a sunbed in July and August.